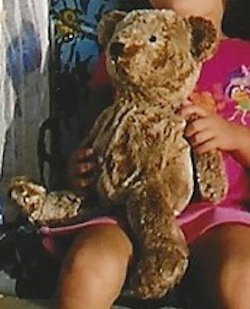 I’m looking for a 2002 large brown teddy bear that I think came with a sheer gold ribbon, probably bought from a Toys R Us, Target or Walmart. I’m looking for a 60’s sleeping baby pink plush 12 inch Cocker Spaniel curled up lying down musical. We think the inside of the ears were white. 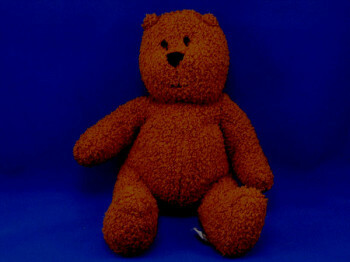 I’m looking for a 13 inch dark MAROON rough texture terry Baby GAP bear with tiny ears named BRENNAN. 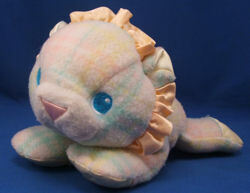 I’m looking for a pastel plaid blanket Playskool SNUZZLES lion with a pink satin triangle nose and a yellow ruffled satin mane, white satin feet and ears. 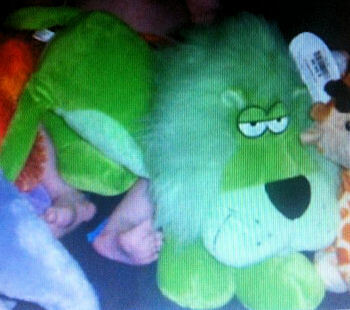 I’m looking for a 2005 large Bestever bright green lion about 12 inches long and 8 inches high. He was lying down, all soft, and had floppy legs. 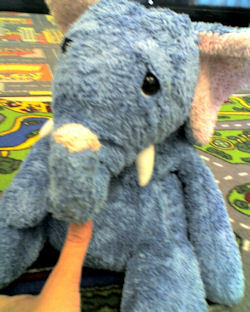 I’m looking for a 12 inch 2004 blue sad eyed elephant with tusks. It has large ears with pink inside, and pink on the tip of the trunk.